Owner Friendly Controls - Easy to use system settings and controls for system customization with large LCD display. Power Loss Memory (PLM) - Should you ever lose power, the unit will restore those setting once power has returned. 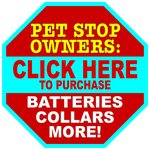 An optional Battery Backup unit is available from your local Pet Stop Dealer. 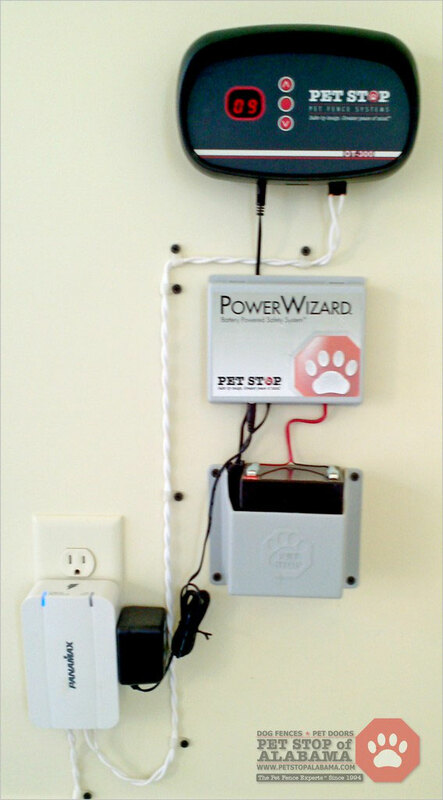 Zapp Alert™ - A Pet Stop exclusive, this feature alerts you if your transmitter is ever damaged by lightning. However, built into every Outdoor Transmitter we make is state-of-the-art lightning protection. Lightning Protection - The Pet Stop Transmitter has some of the best lightning protection available built right into the transmitter, preventing the need for costly ad on devices. Wire Break Indicator - All units incorporate an audible and visual warning should the boundary wire break. DM Technology - First there was AM and then there was FM. Now there’s DM. Digital Modulation is an advanced technology superior to AM or FM based systems, that give the greatest protection from false correction. 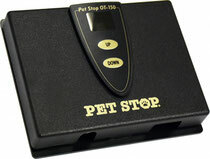 Pet Stop uses Digital Modulation Frequencies rather than AM or FM for the absolute highest signal strength. Digital Display - All Pet Stop transmitters feature an easy-to-read digital display that, when lit, lets you know your unit is working. More importantly, you’ll know exactly where your field is set. No guessing or having to call a service rep, the digital display lets you know 24/7. Multiple Compatibility - Our Outdoor Transmitters are fully compatible with our Indoor Transmitter and most competitor systems, including Invisible Fence®. GentleSteps™ Training Capabilities - The OT-300 and OT-150 come enabled to execute the GentleSteps training protocol, a superior method to training a pet on a new Pet Stop system. 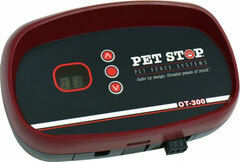 Warranty - The OT-300 comes with a full lifetime warranty. The OT-150 comes with a two-year limited lifetime warranty. The PCC-200 comes with a one-year limited warranty. All warranties include lightning damage coverage. Edge-To-Edge Boundary Technology - Both the OT-300 and OT-150 are equipped with Edge-To-Edge capability. The PCC-200 supports standard boundary configurations. Included in our Premium and Premium+ Equipment Packages. Included in our Deluxe Equipment Package. 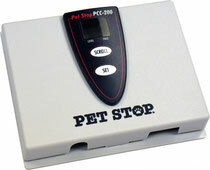 The PCC-200 Digital Transmitter offers Pet Stop quality design at a price comparable to DIY kits from big box stores. 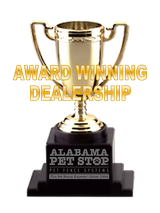 Boasting more options than many professional systems like Dog Guard or Invisible Fence, our entry-level transmitter delivers lots of bang for your buck, which earned the PCC-200 system the Consumer's Digest Best Buy award.